Leonardo Genezio Darci Boff is recognized as one of the most outspoken, controversial, and articulate proponents of Roman Catholic liberation theology. A staunch supporter of the ordination of women priests, Boff's controversial writings put him at odds with the Vatican and eventually led to his resignation from the priesthood. Leonardo Boff is an ordained Franciscan priest who resigned his vocation in 1992 to become a member of the Franciscan lay clergy. Protesting the hierarchical structure of the Roman Catholic Church as it existed in his native Brazil, Boff has advocated the ordination of women as priests and promoted social justice for the poor. The Vatican officially silenced Boff for eleven months in the mid-eighties as the result of his publishing several controversial works in the 1970s and 1980s because his books had an ideological alignment with liberation theology. Liberation theology evolved in South and Central America following the 1968 Second Latin American Bishops Conference and gained popularity in the 1970s. The theology calls for the Church to engage itself in the political and economic struggles of poor people. The Vatican, however, views liberation theology as a justification for violent revolution and Marxist economic policies. Roman Catholic theologians dismiss the socio-economic concentration of liberation theology because they believe it places too much emphasis on earthly, temporal matters rather than on spiritual matters. The church believes that the Word of Jesus is not concerned as much with political freedom as it is with freedom, or liberation, from sin. 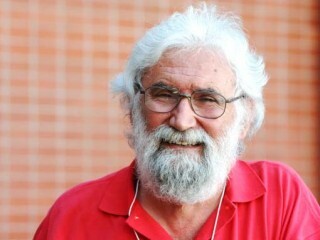 While accepting Marx's views opposing capitalism, Boff told interviewers that he considered himself more anti-capitalist than pro-Marxist, and more a Franciscan Catholic than a Roman Catholic. He told Time reporter Richard N. Ostling: "The Vatican wants to centralize the church around the Pope and Rome. Liberation theology challenges that view, opting for a more decentralized church." He has also commented on his dissatisfaction with Catholic bishops living in relative luxury and controlling how parish monies are spent while Catholics with no say in church matters live in poverty. Addressing the politicized nature of Boff's beliefs, Richard Ouebedeaux in the Catholic Century wrote: "In giving such priority to the political dimension, one is led to deny the radical newness of the New Testament and above all to misunderstand the person of Our Lord Jesus Christ, true God and true man, and thus the specific character of the salvation he gave us, that is above all liberation from sin, which is the source of all evils." Ouebedeaux balances the statement by adding: "Boff does not link his activist Jesus unequivocally with Marxist programs for social reconstruction in the manner of some liberation theologians. Also, despite the fact that the humanity of Jesus is stressed, his divinity—deity, really—is affirmed too." When the Vatican attempted to silence him again in the early 1990s, Boff resigned as priest. He told Mac Margolis of Newsweek: "The first time [of official discipline] was an act of humility and I accepted. The second time was humiliation, and I couldn't accept it." In works published since his resignation as priest, Boff expanded his liberation theology views to include ecological and feminist issues. Boff was born December 14, 1938, in Concordia, Santa Catarina, Brazil. His father was a teacher, and his mother was raised in a farming family. He was ordained a priest in 1964 and continued his education at the University of Munich, where he earned a doctorate in 1972. Bonaventura Kloppenburg, who was to become an opponent of liberation theology, oversaw his doctoral dissertation. Another of Boff's doctoral instructors, Joseph Ratzinger, eventually became a Cardinal who served as the Vatican's chief spokes-person against liberation theology. Boff was notably a member of the Franciscan order of Roman Catholics. Boff has likened himself to the order's founder, St. Francis of Assisi, because rather than subjugating himself to the Catholic church's hierarchal structure, St. Francis established his own order. Boff told Margolis: "I define myself more as a Franciscan Catholic than Roman Catholic. Never forget, St. Francis was a layman, he wasn't a priest or part of the hierarchy." After returning to Brazil, Boff taught theology at the Institute Teologico Franciscano in Petropolis and assumed editorial responsibilities for the Brazilian theological review Revista Eclesiastica Brasilieira. He attracted widespread attention in 1978 with the translation of his 1972 work Jesus Christ Liberator: A Critical Christology for Our Times. In this work, Boff applied liberation theology to the study of the life and works of Jesus Christ, characterizing Jesus as a revolutionary working on behalf of the economically oppressed against the corrupt Roman occupation of the Holy Lands as well as the hierarchal structure of the Jewish faith. In his most controversial work, Church: Charism and Power, Boff employed Marxist theory to attack not only the economic oppression of the poor, but also the entire structure of the Roman Catholic Church. Equating the Church with industrialists who controlled the means of production, Boff asserted that the Church believed that it held a monopoly on God's grace. Writing in the Los Angeles Times Book Review, Marianne Sawicki refuted Boff's assessment: "A thoughtful reader would object that this comparison limps because grace is not a material thing. Grace is more like love, which increases as it is shared, than like the proverbial cake that you cannot both have and eat." However, Sawicki, stated: "One can fault Boff for this poor analogy, and his publisher for neglecting to inform the uninformed reader of the culture-specific character of the work. But such faults make the a book 'dangerous' only to an authority that has lost faith in the good sense and good will of its people." Boff's assertions caused Joseph Cardinal Ratzinger, by now head of the Vatican's Sacred Congregation, to demand an audience with Boff in 1984. One of the Vatican's primary concerns was Boff's interpretation of the Second Vatican Council's assertion that the "sole church of Christ … subsists in the Catholic Church." Ratzinger stated that Boff supported a thesis that refuted the Roman Catholic church as the one church of Christ by allowing that Christ "also may subsist in other Christian churches," which the cardinal stated, "could be characterized as ecclesiological relativism" and that, following such a belief, "no institutional church could affirm being that one church of Jesus Christ willed by God himself." Ratzinger officially silenced Boff for one year, prohibiting him from publishing, public speaking, or otherwise promulgating his liberation theology beliefs. Eleven months later, the silence was lifted, and the Sacred Congregation issued an extensive refutation of liberation theology. In 1987, Boff published the English-language version of The Maternal Face of God: The Feminine and Its Religious Expressions, in which he advocated the ordination of women as priests. Because the Roman Catholic Church believes that "the ordination of women is not possible" due to being bound by Christ's choice of men as apostles, Boff was again at the center of controversy. He furthered the Vatican's displeasure by publishing a series of articles in 1991 that favored married priests. When the Vatican denied publication approval for his next work, Boff resigned from the priesthood. He told Margolis in 1999: "Strangely, to this day the Vatican has not recognized my renunciation. Officially, legally, I am still a priest and a friar. This is very rare. Usually Rome accepts your resignation or expels you." Despite the collapse of the communist bloc countries in the late 1980s, Boff believed that the political ideas of Karl Marx concerning what he perceived to be inherent flaws in capitalism were still valid. Following his resignation from the priesthood, he continued to administer to the poor and publish works that are more ecumenical and reveal his readings from other faiths and religious practices, including Buddhism and Yoga, as well as his continued support of liberation theology. For example, in The Lord's Prayer: The Prayer of Integral Liberation, Boff explains that humankind cannot separate prayer from worldly concerns. In Saint Francis: A Model for Human Liberation, Boff writes that the life of St. Francis serves as an example of how the economically disadvantaged should receive preferential treatment. View the full website biography of Leonardo Boff.